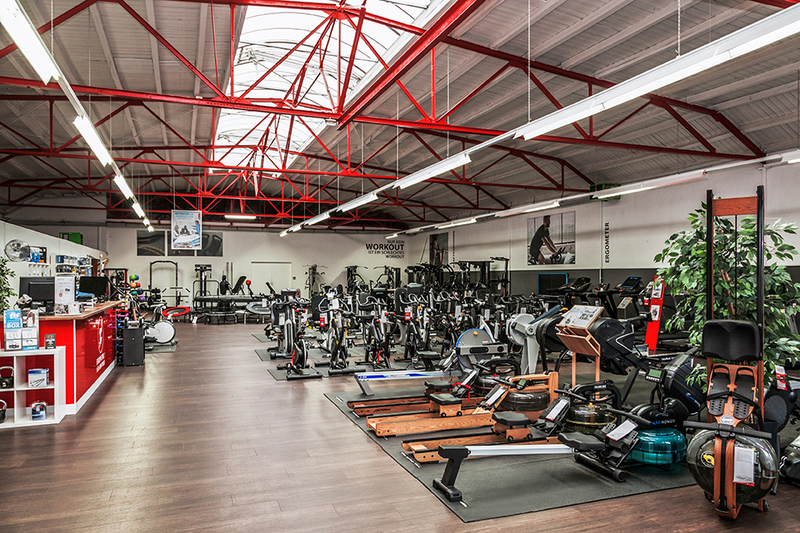 Visit our specialist fitness store with a showroom of 500m². Sport-Tiedje is your personal fitness consultant directly on site in Kassel. At our sports shop, you find fitness equipment on a showroom space of 500 sqm. You find fitness equipment of all kind in Kassel - from a spartan indoor cycle to the high-end elliptical cross trainer with touchscreen, from the 0.5 kg training weight to the solid multi-gym. It's not always easy to decide for the appropriate fitness equipment - though, here our very motivated team of our specialist fitness store in Kassel will help you. Together with you, we will find out which sports equipment suits best to your needs, i.e., whether you should rather buy weights for muscle building or take a very joint-gentle recumbent bike. The best: when you buy a fitness equipment at Sport-Tiedje in Kassel: You can test and try every sports equipment on site. Just as you like, as long and as intensively as you want to do it. Take your time and you are welcome to take along some sporty clothes and try as many machines as you like. Our fitness experts are always available and give useful tips. 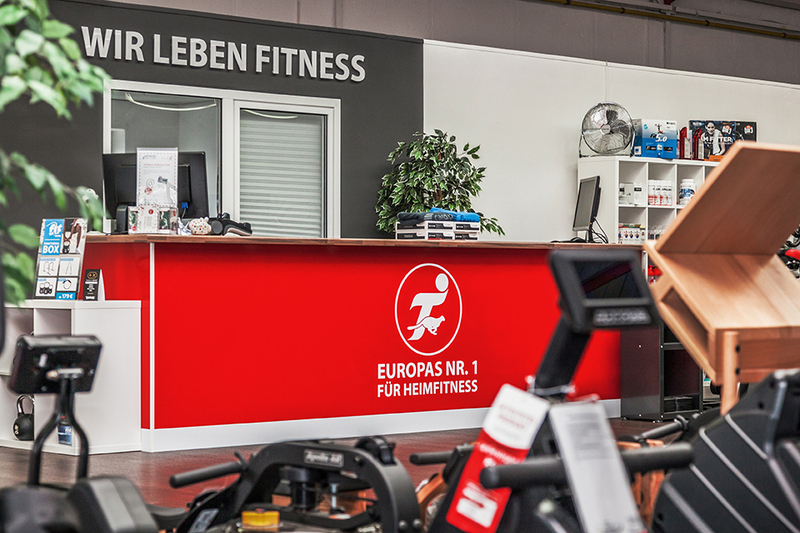 At our sports shop in Kassel, you cannot only buy fitness equipment, we also offer you comprehensive accessory for your training. 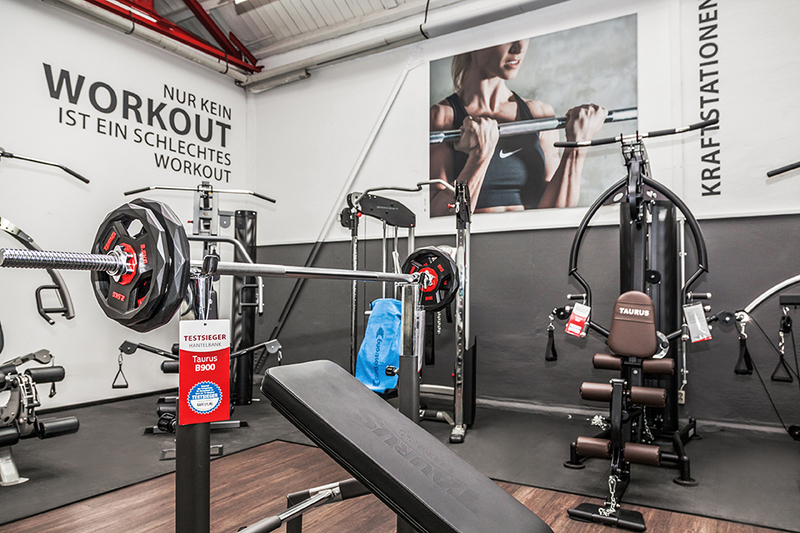 You find a wide range of products for Functional Fitness or weights, i.e., at our specialist fitness store in Kassel. You are also welcome to buy fascia rollers as optimal completion of your fitness equipment in Kassel - and just take it along. Fascia rollers or back machines are the optimal fitness equipment accessory for treadmills. Thus you complete and upgrade your training optimally. Besides sports equipment, we also offer you a first-class selection of sports nutrition. Our team is happy to give advice how to achieve your training targets in a more effective and more lasting way by using protein shakes or boosters, i.e.. No matter whether you wish to loose weight, need a rehab training or want to register for the Hessian Body-Building championships! 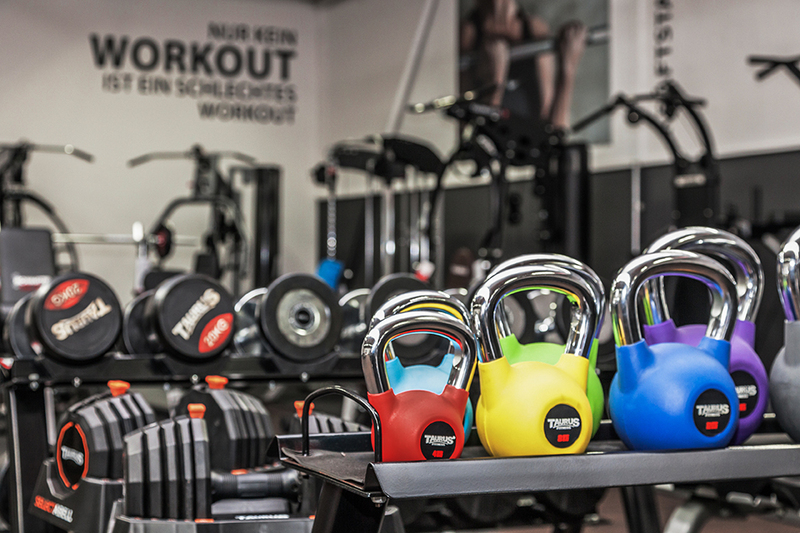 Quite right: At our store in Kassel, you cannot only buy fitness equipment, you can also collect a lot of equipment and accessory products right away. Our sports shop in Kassel has a very big warehouse of 120 sqm, where a lot of fitness equipment is permanently stored on site. The store is easy to reach by car, you can drive up and our strong specialized fitness shop assistant helps you to put your newly purchased sports equipment in your car. Of course, we also offer you comfortable delivery options, when you purchase a fitness equipment at the store in Kassel. Our fitness team includes sports scientists as well as sports and fitness merchants, who take the company's motto of Sport-Tiedje to heart: Sport-Tiedje lives fitness. Our team knows sports and fitness from own experiences and can ensure that you will buy the ideal fitness equipment in Kassel. Because we want you to buy the fitness equipment in Kassel, by which you can make progress and move forward!